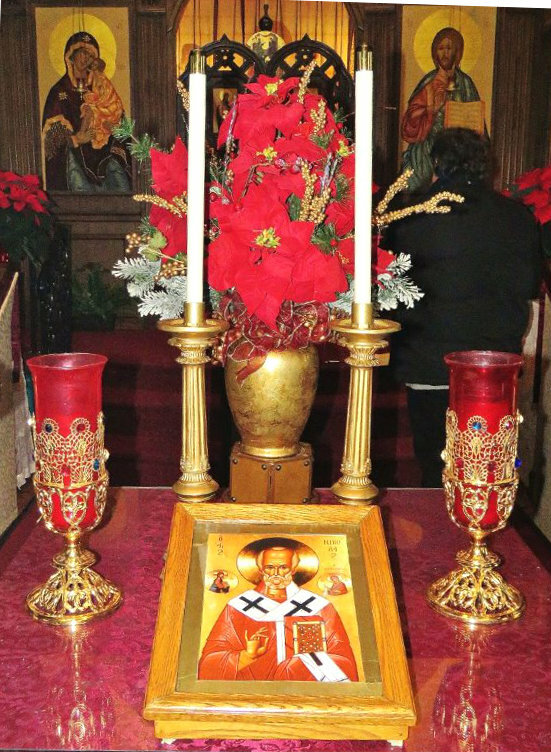 On Sunday, 11 December 2016, Saint John the Baptist Church in Rochester NY celebrated the annual commemoration of Saint Nicholas (6 Dec) the Wonder-Working Bishop of Myra in Lycia. 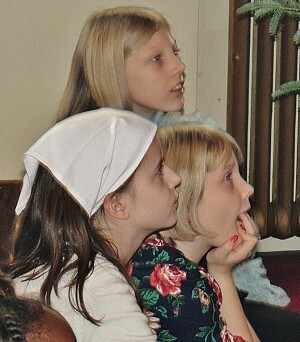 Following a children’s sermon highlighting the life of this beloved saint, the little ones placed their shoes under the parish Christmas tree awaiting gifts of “gold coins” in honor of the saint. A delicious Nativity Fast (Advent) breakfast was enjoyed by all as the children decorated the parish Christmas tree with ornaments.